The Department of Government is pleased to announce that Janice Allen Jackson ?85 has been selected as the Fall 2018 Baxter-Ward Fellow. This honor is awarded to a distinguished William & Mary graduate who shares their insight and experience with current students. Ms. Jackson?s return to William & Mary is being co-sponsored by the Public Policy Program of the university. As the chief administrative officer of the consolidated City of Augusta/Richmond County government, Ms. Jackson is responsible for the management of a general purpose government serving approximately 200,000 residents. Ms. Jackson graduated from William & Mary with a self-designed major in public policy and urban studies before the university had created its interdisciplinary undergraduate program in public policy. She received later a graduate degree in public policy from Duke University. 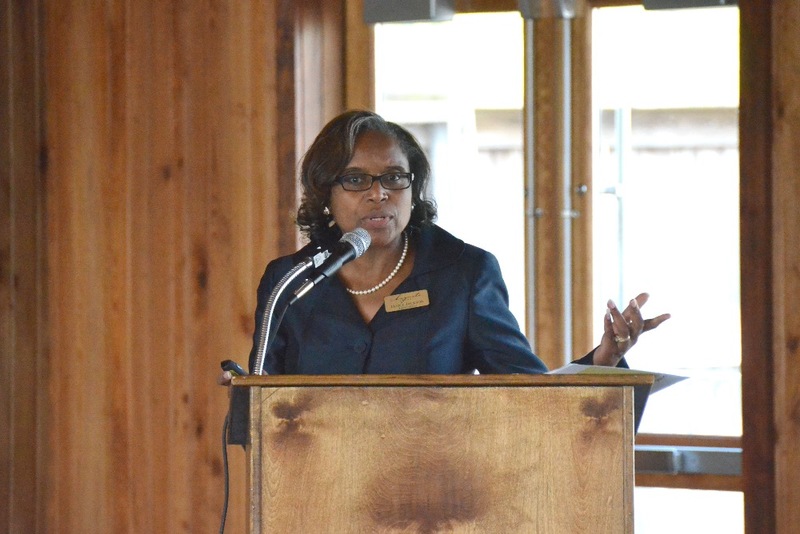 Before her appointment in 2014, she had served as the City Manager of Albany, Georgia, and the General Manager in Mecklenburg County, North Carolina. In addition, she is the founder and owner of Janice Allen Jackson and Associates, a consulting firm. The Baxter-Ward Fellowship was established by generous gifts from alumni of the Department of Government to honor the service of Professors Emeriti Donald J. Baxter and Alan J. Ward. Professors Baxter and Ward frequently attend the public talks by Fellows, who have been drawn from the worlds of academic, journalism, practical politics, international affairs, and management. The selection of Janice Jackson is particularly timely this Fall as the university celebrates the 100th Anniversary of Co-education at William & Mary. Ms. Jackson will be on campus for two days, and will present a public lecture on Wednesday, September 12 at 5 pm in Washington Hall 201 on aspects of leadership in urban America. The lecture is free and open to the public.